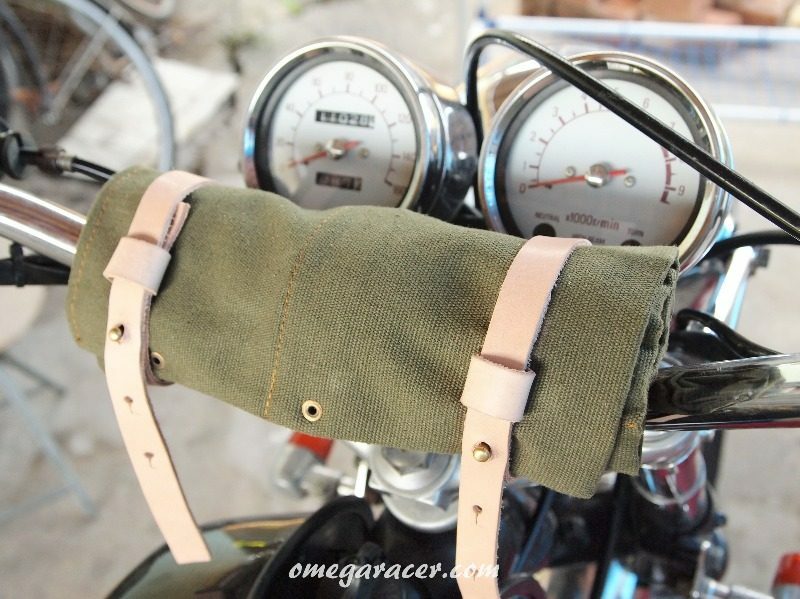 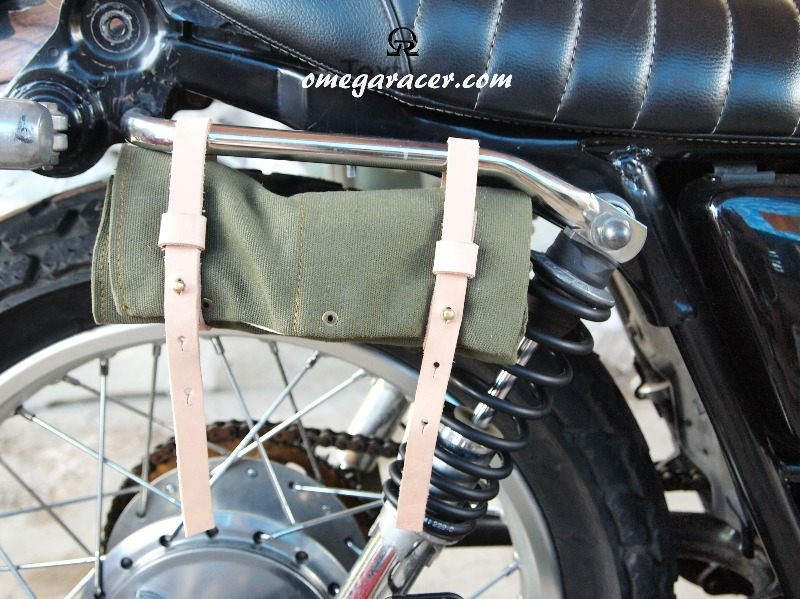 A motorcycle toolroll for the eternal motorcycle enthusiast. 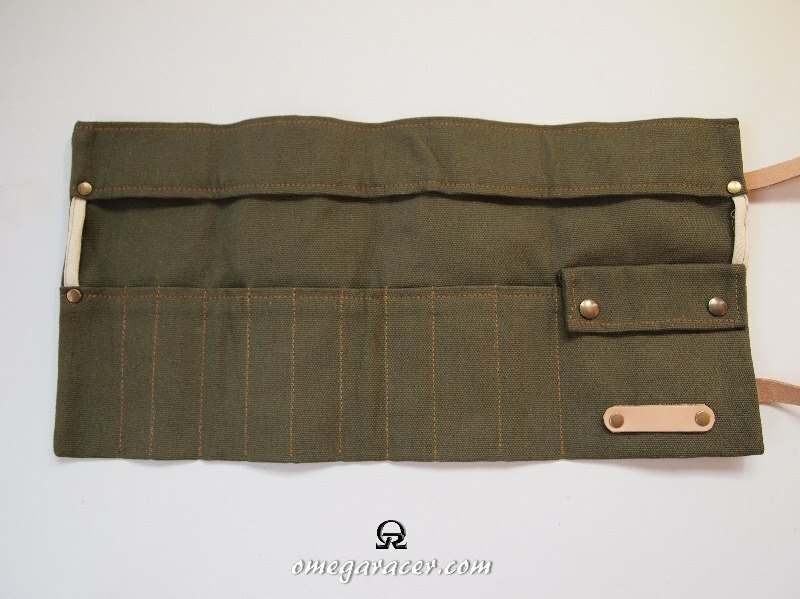 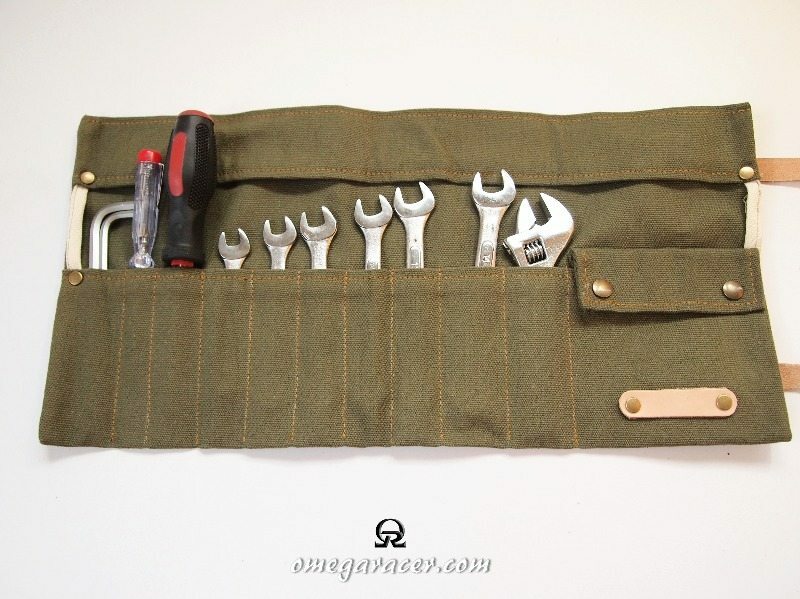 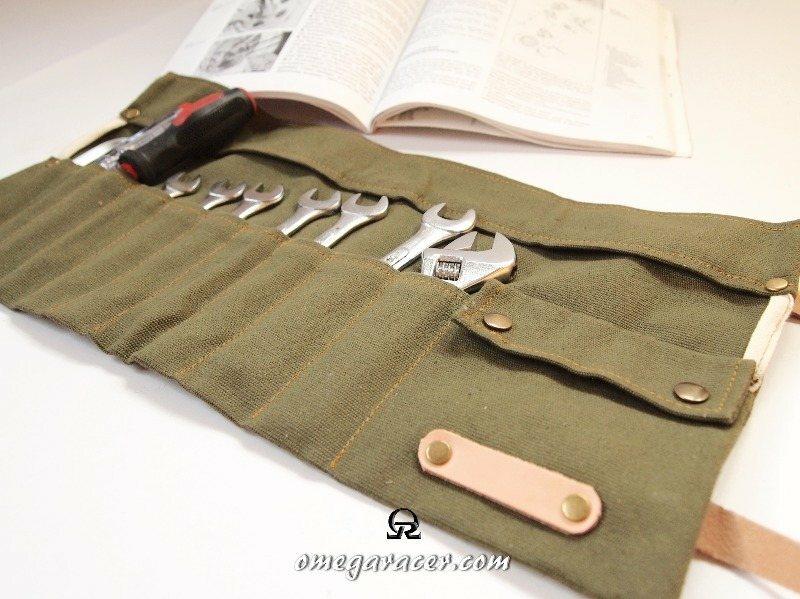 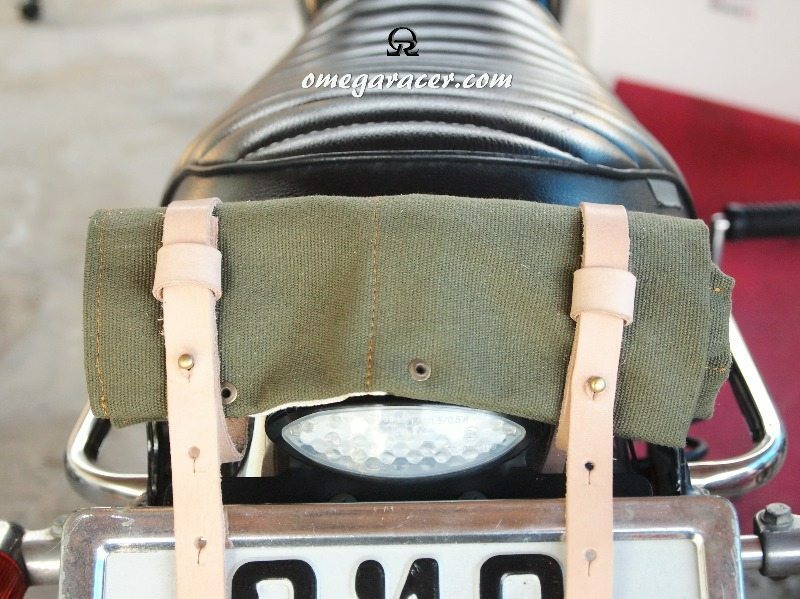 This fantastic toolroll is hand crafted from durable canvas and soft leather. 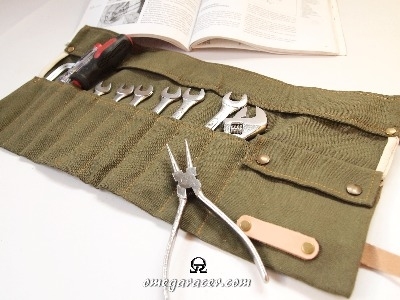 The OR Toolroll was specially designed by us to accomodate the most useful and essential tools on the road, but also with practicality and fitment in mind. 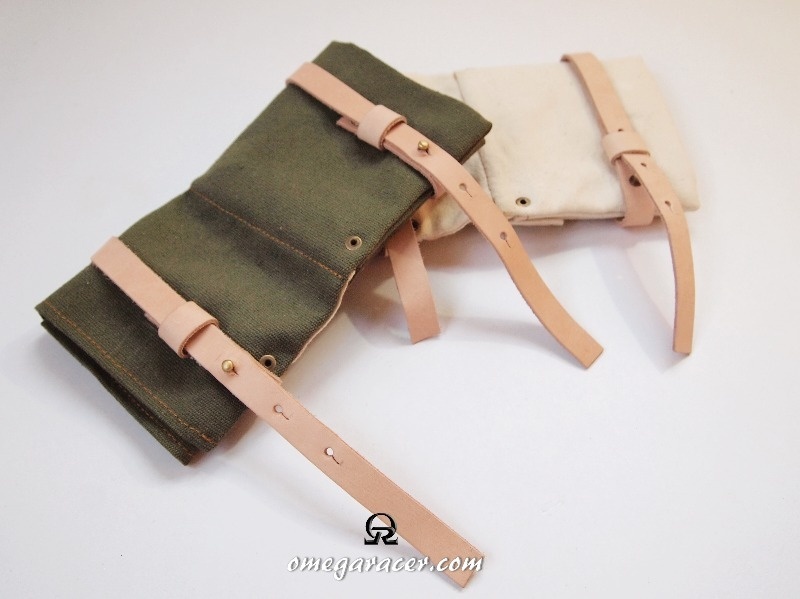 choose between 7 different colors! 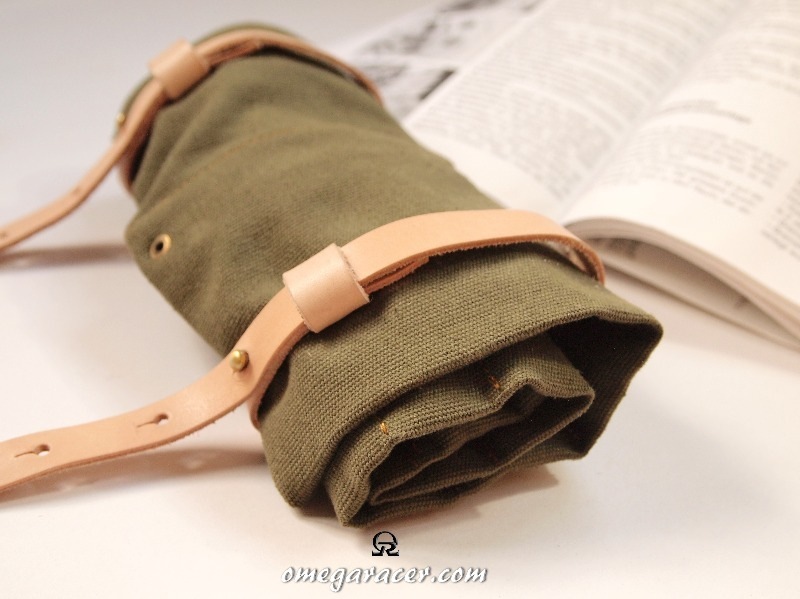 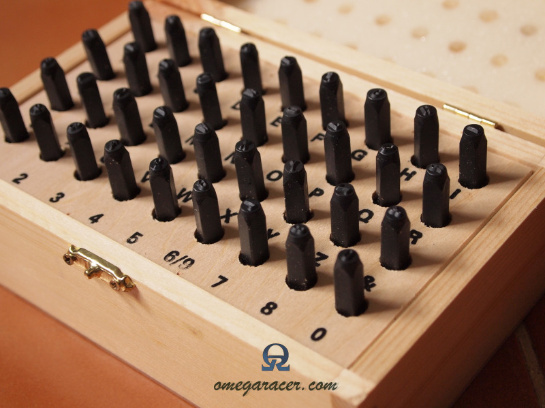 You can now personalize your toolroll with a motto, your initials or a good wish for a friend. 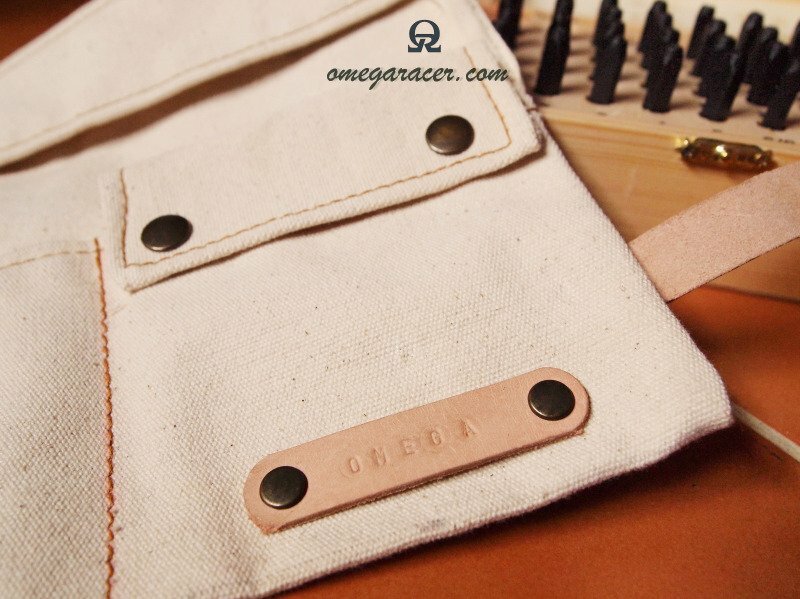 NEW OPTION: Choose a motto, your initials or a good wish to emboss on the toolroll straps!